What a well made and entertaining film. Someone is very good with a drone. 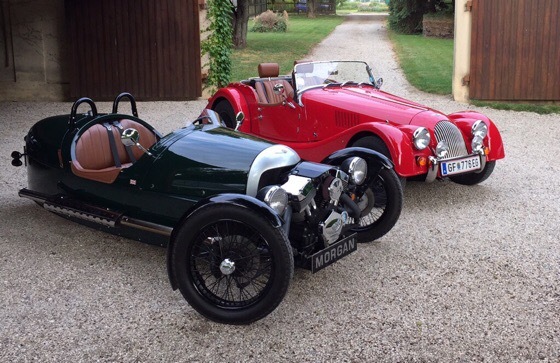 Loved that!....those exquisite roads and Morgan camaraderie, are what I envy most about you lot across the pond . That is one professional video. I loved the shots driving through the mountain roads. It warms the cockles of your heart seeing that and makes you feel like you’re a part of the best, friendliest, most welcoming gang in the world. I really can’t wait to join. My Pyrenean tour will start end of May. Ferry to Barcelona booked already. Most likely I will first visit Montserrat, Zaragossa, Pamplona, Bilbao and San Sebastian and do most mountain roads on the way back to the Andorra. Than crossing France and Italy for the return to Austria. Some two to three weeks planned to achieve the trip.